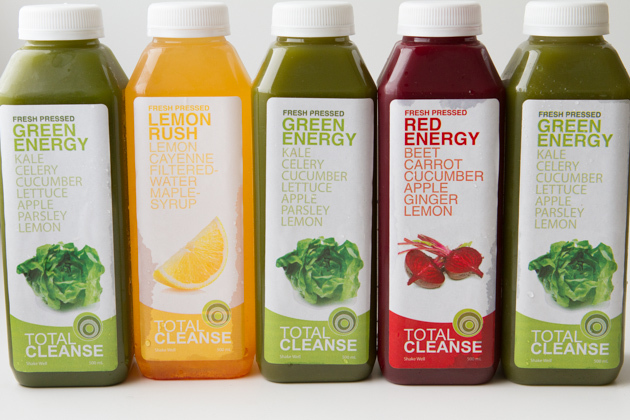 Every 3 months, like clockwork, my body craves a juice cleanse. February, May, August and October. Year in and year out. It’s quite cool. Last time I got the cleansing urge was in August. We had just moved from Montreal back to Calgary, Kevin was starting a new job, we were living at my parents house while we looked for a home AND we got engaged. My body was craving a cleanse but I just didn’t have the time, patience or attention span to dedicate a week of my life to making juices… so I tried something new – a kit cleanse. Have you heard of them? Basically, you choose the type of juice cleanse you want to do (light, moderate, intense, that sort of thing), a company supplies you with your juices, and you cleanse… stress-free and juicer-free. If you’re leading a busy life, it’s quite the treat. After a bit of reconnaissance work, I learned that Total Cleanse (a Toronto-based company) delivers their kit cleanses across Canada. Bonus! So, I treated myself to a 5-day Purify Cleanse to see if the kit-style cleanse could work for me. It was fabulous. So fabulous that I just HAD to do it again and share the experience with you. Starting today, I’ll be bustin’ out 5 days of cleansing with my Total Cleanse kit cleanse. My juices are in the fridge (Total Cleanse juices – Green Energy, Lemonade and Red Energy), and I’m ready to rock this. And the first recipe I think you should make? 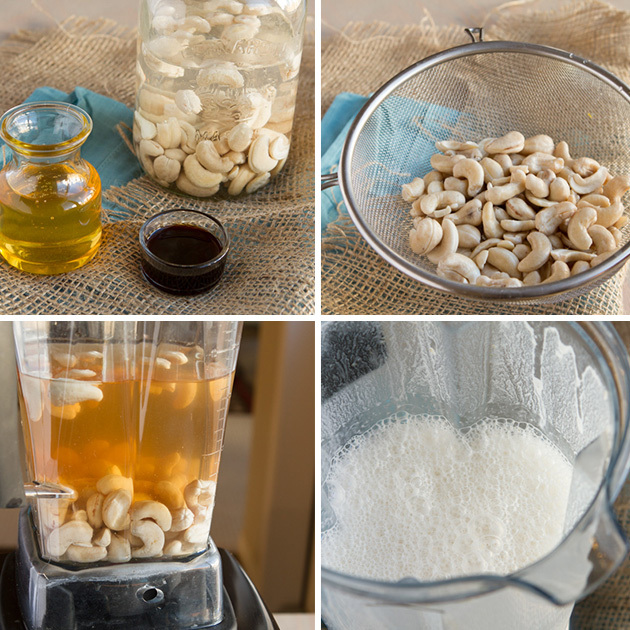 Cleanse or no cleanse… is this cleansing cashew milk recipe. 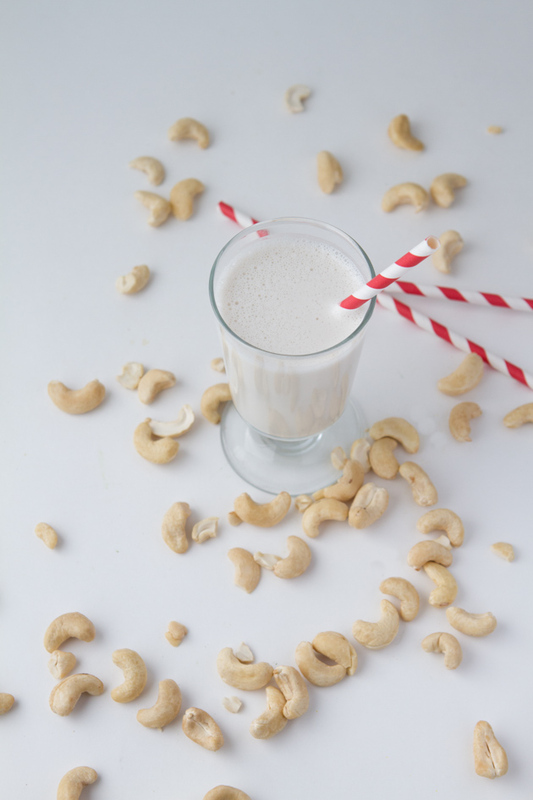 Cashews are naturally low in carbohydrates, high in healthy fats, rich in protein and fibre and are cholesterol free. 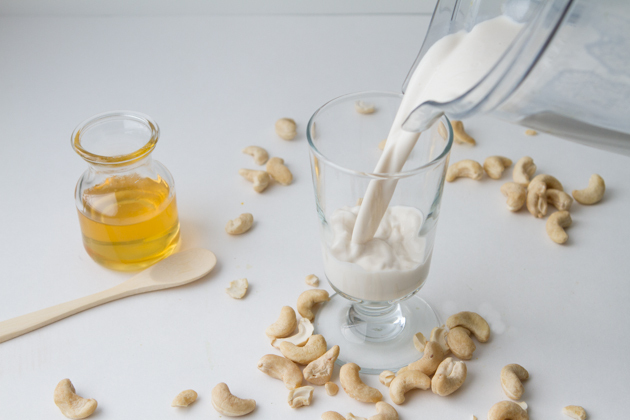 This milk helps to boost the metabolism, support energy production and flush the body of toxins during the cleansing process. 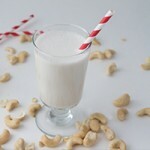 If on a juice cleanse, drinking 1/2 cup of this cashew milk at the end of each day is a GREAT idea! 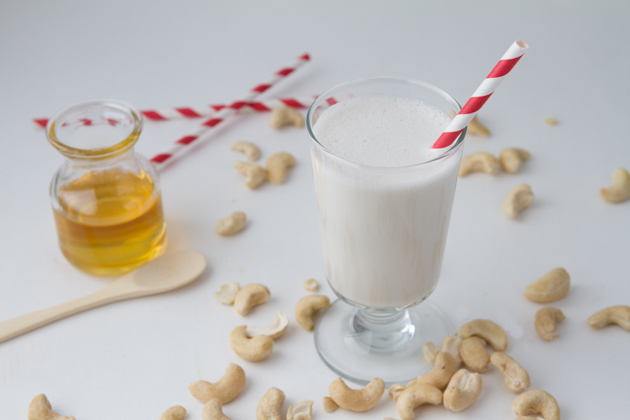 Perfectly creamy, velvety milk made from cashews. Perfect end-of-day drink when you're on a juice cleanse.